The Boston Celtics will be heading to Philadelphia for Game 6 to battle against the 76ers in the second round of the NBA Playoffs. Boston leads the series 3-2, but the 76ers will have home court advantage to hopefully extend the series to Game 7. Odds subject to change. Please visit BetOnline.com for current odds. The Boston Celtics have had a pretty solid year but have had difficulty keeping the “Old Big 3” in Pierce, Allen and Garnet all healthy at the same time. The shortened season should have helped these old times but they seem to be struggling just a bit. It’s a good thing Boston has Rondo to help lead this team as their new leader. 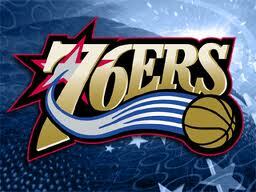 The Philadelphia 76ers in my opinion has surprised most NBA fans in their strength of play. I personally didn’t even think they were going to make the playoffs, let alone possibly advancing to the third round in the post season. The 76ers are playing great basketball at the moment, and it wouldn’t surprise me one bit to see this series go into Game 7. The Boston Celtics are trying to close out the Philadelphia 76ers in Game 6 of the second round of the NBA Playoffs. Unfortunately for them, Game 6 is being played on the 76ers home court. Although I anticipate this being a very close game, just as the best sportsbooks on the internet do, I foresee the 76ers coming out on top in a high scoring game.